CDC has released a graphic novel to help young people understand the potential health risks of human influenza viruses that normally circulate in swine and can cause disease in people (known as variant flu infections). This coincides with a report by CDC in FluView today of 4 new variant virus infections associated with attendance at agricultural fairs in two U.S. states. CDC developed the graphic novel in collaboration with the U.S. Department of Agriculture (USDA) and 4-H, the youth development organization affiliated with USDA. The novel – available as a free mobile app – follows a group of teenage 4-H members who participate in a state agricultural fair and later attend CDC’s Disease Detective Camp in Atlanta. 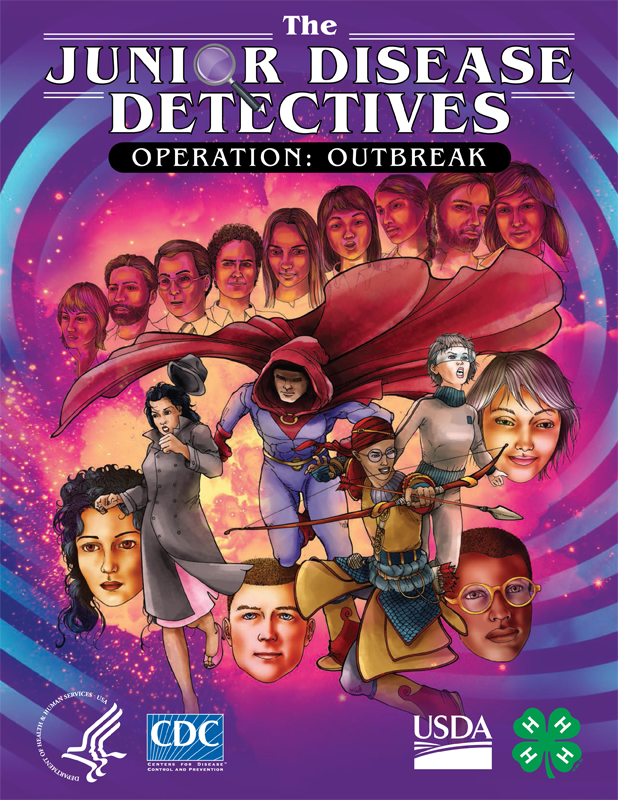 The graphic novel, “The Junior Disease Detectives: Operation Outbreak,” is available for free download from the CDC flu website and the Apple iBook store. Earlier this year the CDC Science Ambassador Fellowship piloted the first of these activities with over 120 middle and high school STEM teachers. This activity is being released with the graphic novel, and the program plans to roll out additional classroom activities throughout the 2018-2019 school year.